Mother’s love to be fed on our one day a year when, for a little while, in spite of our aching urge to clean up, cook, prep for the week, make lists of meals to shop for, make sure all of the laundry is put away, mapping out our goals for the week ahead, getting school clothes out and ready, etctera, etcetera, etcetera … HOWEVER – We do in fact like a day off regardless of popular belief. You see, one Sunday every year, the lull of a “Special Day” calls to us. We wait 364 days for this particular day. And, when it arrives, we urge you – do NOT believe us when we say we don’t want to feel special. Because honestly, it’s one day. And we are happy to let our kiddos or partners or friends say, “Thanks Mom” with a gesture of something thoughtful – a card, a gift WE would like – and perhaps we even enjoy you making a fuss over us. Because at the end of the day, it’s important to let mom’s know they mean something important – and we carry that through the next 364 days. So, while we happily thank the woman responsible – Anna Jarvis in 1908 – this year, wherever you are, get creative. Now onto more hunger worthy things. Los Angeles has some of thee best brunches around and on Mother’s Day you’ll be able to find what you’re looking for. This time around though, in honor of “getting creative”, below are a few unique suggestions to switch things up a bit. Below are a few special meals that are rather non-traditional, affordable, and wonderfully creative – AND just below each one? A creative #GiftSuggestion! Ayara Thai Cuisine in Los Angeles, CA will be serving Sam Yum, three of your mom’s favorite treats! Enjoy Peruvian Scallops, Yellowtail Hamachi, and Santa Barbara Spotted Prawns. The Peruvian Scallops will be served raw, sweet, and cold with pomelo, house made chili-lime gelee, and kaffir lime leaves. The Yellowtail Hamachi is premium sushi grade fish glazed with their roasted chili and rice powder “Larb-style” dressing and topped with chives. The Santa Barbara Spotted Prawns will be grilled with chive flowers and served with their chili-lime dipping sauce. Ayara Thai Cuisine, a family-owned restaurant in Los Angeles opened in August of 2004 by chef and restaurateur, Andy Asapahu and hiw wife, chef Anna Asapahu, to craft delicious home-cooked Thai food. At Ayara Thai Cuisine, dishes are prepared from family recipes and cooking styles have been passed down through generation. The Asapahu family of Ayara Thai offers tastes of their authentic home-cooked Thai food, where quality is never compromised. They use fresh seasonal ingredients and each dish is prepared from scratch and enhanced individually by herbs and spices to ensure the boldest, most genuine flavors. Make your reservation by calling (310) 410-8848. Ayara Thai is located at 6245 W 87th St, Los Angeles, CA 90045. SUGGESTION: How about buying Mom a beautiful Book? Care to explore the world of teas afterwards? Visit TEAVANA online. Doma Kitchen in Redondo Beach, is breaking out the Mother of all menus for this special day. Indulge in a Chocolate lovers waffle which is chocolate batter filled with chocolate chips and walnuts topped with house made caramel, chocolate, condensed milk and fresh raspberries. Doma’s house-made waffle will be topped with lamb and a sunny side up egg and served with a small side salad. You can also enjoy their very popular cold beet soup with Kifir. Housemade Waffle topped with lamb, eggs and served with fresh veggie salad. Located in the heart of Redondo Beach, the family-owned cafe provides delicious, healthy food in an eclectic beach environment. Chef Kristina has created a globally inspired menu prepared with fresh farmer’s market ingredients. Doma supports earth-friendly practices – always serving California cage-free brown eggs, free-range chicken and grass-fed lamb. All dishes are seasoned to perfection with healthful spices and zero trans fat oils. A wide variety of breakfast pastries and artisanal breads are baked daily using the finest and purest ingredients. Organic coffee and teas are brewed fresh and delicious juices and strawberry lemonade are squeezed in small batches to preserve freshness. Doma means “home” in the Slavic language. Owners Stan and Angie drew inspiration from loving memories of home and their extensive world travels when creating the Doma Kitchen experience. Angie’s design background and Stan’s building experience fed into creating the atmosphere for Doma Kitchen. Doma Kitchen is located at 420 S. Pacific Coast Hwy. Redondo Beach, CA 90277. Rok Sushi Kitchen in Hermosa Beach, CA will be putting a twist on the traditional Mother’s Day brunch. They will be offering a Mother’s Day Sparkling Sake Bento Brunch with three different options, all including rice and bottomless sparkling sake. 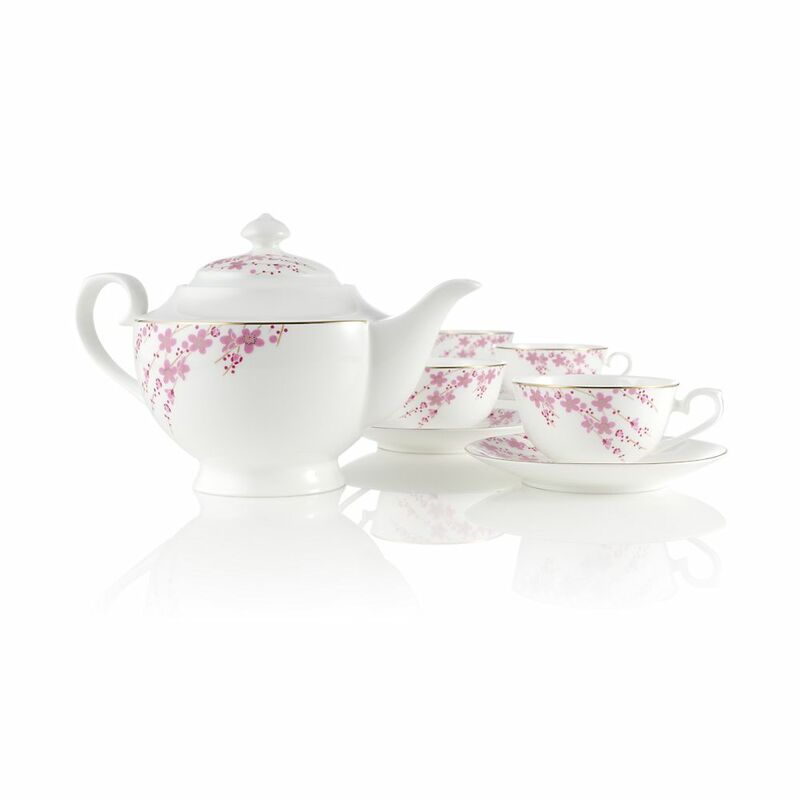 SUGGESTION: How about getting Mom a sophisticated Tea Set? Check out the one below by TEAVANA. Located in the heart of Hermosa Beach, Rok Sushi is the go-to spot for locals that are looking for a casual dining experience with upscale Asian Fusion cuisine. The extensive dining room features a sushi bar, a cocktail bar, and an open floor plan that allows guests to watch sports games or films playing on the focal wall. Serving the local beach communities since 2010, Rok Sushi is great for families and friends alike. Make your reservations by calling (310) 798-4765. Rok Sushi Kitchen is located at 1200 Hermosa Ave, Hermosa Beach, CA 90254.